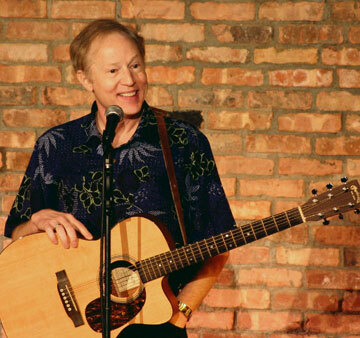 Tim Cavanagh: comedian, songwriter, former teacher, Chicago-area resident, all-around good guy. It was a cold and windy night. My wife and I entered the Yes Cinema in downtown Columbus, Indiana, with intent to distribute … one of my books to one of my favorite comedians. So, Kimberly and I went to go see our buddy at Yes Cinema with book in hand, prepared to give it to Tim after the show. We met him in the lobby on his way into the theater, and I let him know I had a book for him and that I’d get it to him after the show. While sitting in our seats before the festivities, we struck up a conversation with the lady to our right, and I mentioned I’d just had my first book published. I gave her a card and she started asking questions about it. I showed her the copy I’d brought for Tim and she thumbed through it. She also asked if I had any more copies with me. Well, of course. I always keep some in the car. At intermission (after 2 of the 3 comedians), she said I should go get some and she’d buy one. So, I did. And it was cold because I didn’t wear my coat. But I was quite the little trooper. And in addition to selling a book to the lady next to me, I also got a free ad during Tim’s show as he mentioned me and Kimberly by name and said I was an author and mentioned the book by name. I was able to hold up a copy of “Murder in Wauwatosa” for all to gaze upon, and Tim suggested that if the show was boring, I might be doing a little reading. That was not the case, however, as the show was hilarious (again). We met with Tim afterward and I told him I was in the beginning stages of preparing a short stand-up comedy routine of my own. He encouraged me to do it. He also gave me a signed T-shirt, since we already had signed copies of all of his CDs. We had a great time, sold a book, got to talk to Tim again and got free advertising. What a night!